Whitehorse, Yukon has become a world class mountain biking destination thanks to the investment of the City of Whitehorse in trail development and the amazing passion of the local Mountain Bike Community – the Contagious Mountain Bike Club , Boreale Biking and the Single Track to Success program down in Carcross. 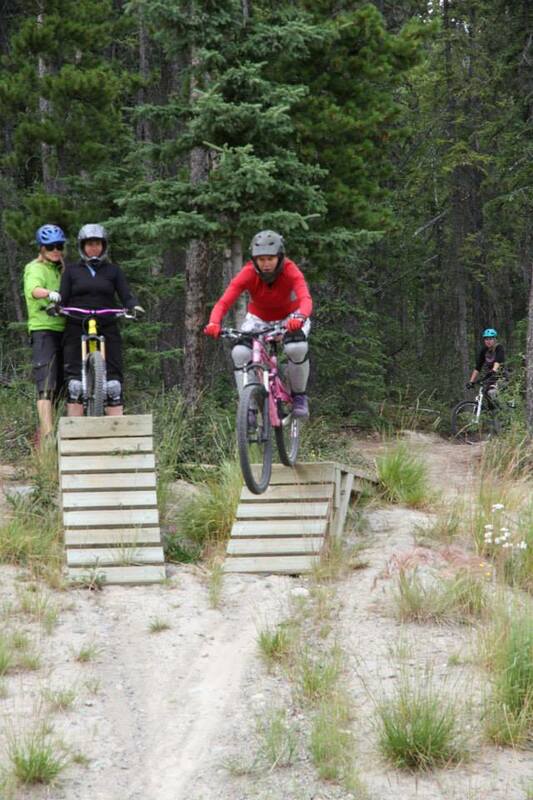 Through the Boreale kids program, Hunter has become an incredibly strong mountain biker the last 3 years. This has brought all of us into this sport with energy and we bike 3-4 times a week on average. This video from Sacred Biking really sums up Mountain Biking and why we are so excited to spend so much time on our bikes this year! We are looking forward to experiencing the amazing Mountain Bike facilities throughout North America as part of our adventure. We continue to explore the ever growing trails in the Yukon and were excited to notch of our first bike chair lift rides this fall at Mount Sima. We are all pushing our limits and continuing to grow as mountain bikers. We love mountain biking, especially as a great balance to whitewater kayaking. It keeps us outdoors, active and pushing ourselves amongst amazing scenery and with great people!